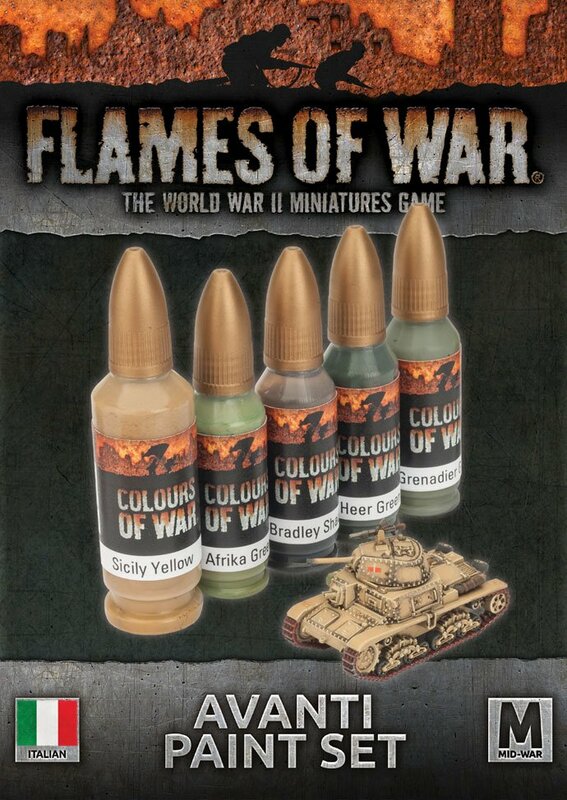 Painting your Flames Of War miniatures for 4th Edition couldn’t be easier with new Colours of War Avanti Paint Set. Used in conjunction with the Quartermaster Paint Set, it has everything you need to get your Mid-war desert vehicles ready for the tabletop. Includes one 20ml bottle of Sicily Yellow, one 12ml of Afrika Green, one 12ml of Bradley Shade, one 12ml bottle of Heer Green and one 12ml bottle of Grenadier Green.